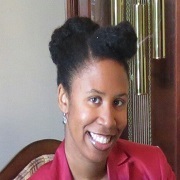 Dr. Lowery is a contributing faculty member in the Clinical Mental Health Counseling masters program. She received a Ph.D. in Counseling and Counselor Education from the University of North Carolina at Greensboro, a masters in Rehabilitation Counseling from The George Washington University, and a B.S. in Business from Fayetteville State University. Dr. Lowery developed the Crowell-Lowery Multicultural Training Reactance Scale (CL-MTRS) to assess student resistance and/or oppositional behavior that occurs within courses on culture and diversity within counselor education programs. She previously served as Co-Principal Investigator for “Raising Awareness About Mental Health (R.A.M. )”, a grant-funded initiative aimed at reducing mental health stigma on HBCU campuses. In her personal life, she enjoys trying old southern recipes that have been passed down from generations. Dr. Lowery frequently teaches Ethics and Legal Issues in Counseling, Group Counseling, Theories and Techniques of Counseling, and Counseling Addictive Disorders. Lowery, R. L., Borders, L. D., Ackerman, T. . Measuring multicultural training reactance: Initial instrument psychometrics. . Journal of Multicultural Counseling and Development. Barnes, R., Lowery, R. L. (2018). Black-ish: Counseling implications when race and socioeconomic status intersect. SACES. Lowery, R. L. (2010). Resistance - Is It Truly Futile? The Crowell-lowery Multicultural Training Reactance Scale (CL-MTRS).